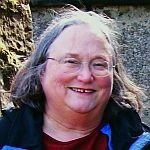 (HOST) As VPR observes Women’s History Month with a series of stories about remarkable Vermont women, commentator and historian Sylvia Bugbee has the story of Lieutenant Colonel Betty Bandel. Bandel was the second-ranking officer in the WAC during World War II, head of the WAC Division of the Army Air Forces in 1943, and for many years a member of the the Department of English at UVM. (BUGBEE) Lieutenant Colonel Betty Bandel, born in Washington, D.C. in 1912, moved with her family to Tucson, Arizona in 1918. She graduated from the University of Arizona in 1933. Her first career – of three – was as a newspaper reporter and women’s page editor for the Arizona Daily Star from 1935 to ’42. In the summer of 1942, as the United States was gearing up for war, the call went out to American women to support the war effort by joining the newly-formed Women’s Auxiliary Army Corps. As Bandel later recalls, a fellow reporter came into the newsroom and said: "’Bandel, they’re creating a women’s army.’ ‘Who is?’ I said. And she said, ‘the United States.’ And I said, ‘Well, let’s join.’ So we walked down the street and did.’" When asked why, Bandel replied, "That’s a funny question. What else would there have been for an unmarried woman except to be in the service one way or another? Everybody was in something. And so you naturally went in." Bandel would become the second-ranking officer in the Women’s Army Corps during World War II, and head of the WAC Division of the Army Air Forces in 1943. Betty joined the first female Officer Candidate School at Fort Des Moines, Iowa, in July of 1942. After graduating second in her class, she was commissioned a 1st Lieutenant, attained the rank of Captain late in 1942, and was promoted to Major in 1943. The Director of the WAC, Colonel Oveta Culp Hobby, chose Betty as her aide in Washington, where she became one of the primary designers of WAAC planning and policy. She accompanied Hobby to England with Eleanor Roosevelt in 1942, and in 1944 to Europe and North and West Africa. She was the first woman to attain the rank of Lieutenant Colonel. Bandel’s service ended in March 1946, and she was awarded the Legion of Merit. After the war, she joined the Department of English faculty at the University of Vermont in 1947, and remained there until her retirement in 1975. She was a renowned teacher and mentor to many undergraduates, some of whom followed her example and joined the armed forces. Throughout her service in the WAC, letters home to her family revealed zest for, and amusement about, military life; and intense dedication to helping win the war. They also followed her development from awestruck recruit to a confident, mature woman, aware of her own worth and her contribution to the war effort. 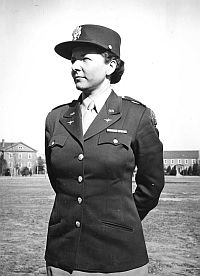 In a moving testimonial to her commitment, she writes in a 1943 letter that "…all I really care about, at this moment, is making the Corps to help the army to help the country win the war – and if Colonel Hobby tells me they need me most playing "Reveille" on the bugle at Fort Des Moines, I’ll go, with never a second thought."